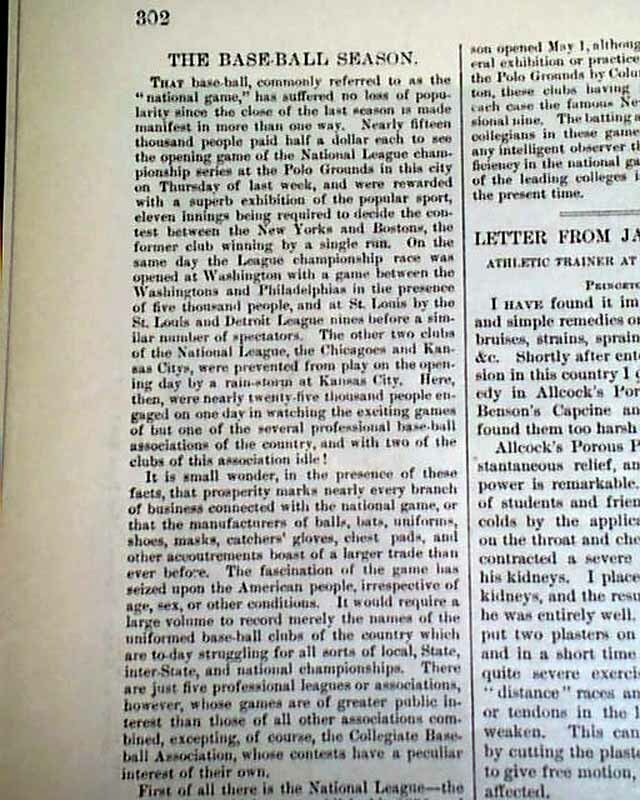 The full ftpg. 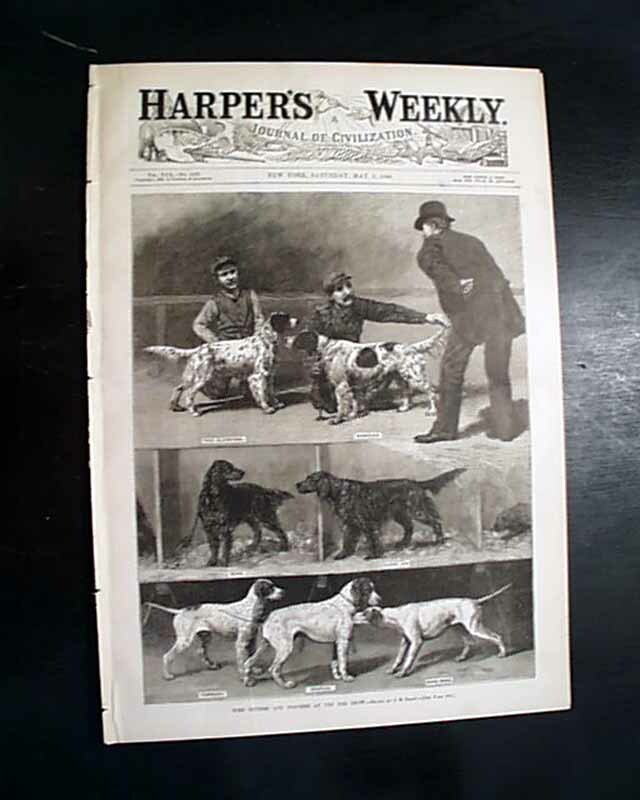 shows: "Some Setters & Pointers at the Dog Show" with a related article inside. 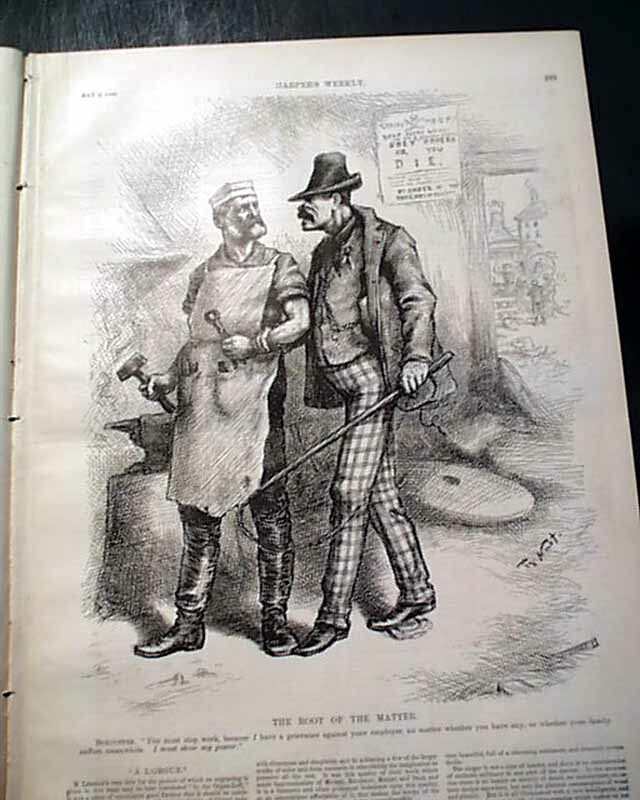 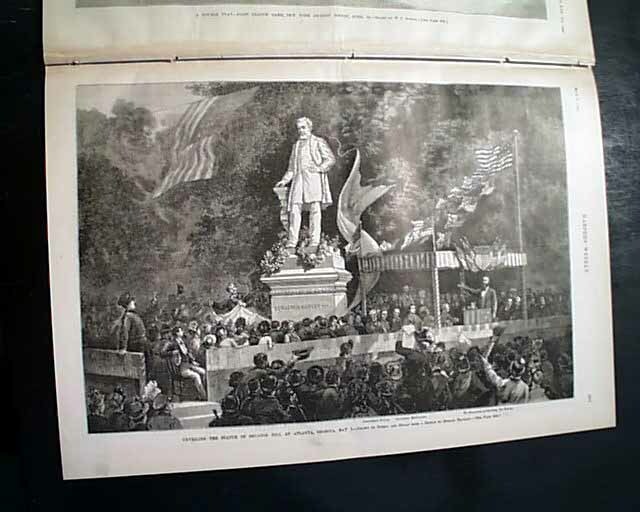 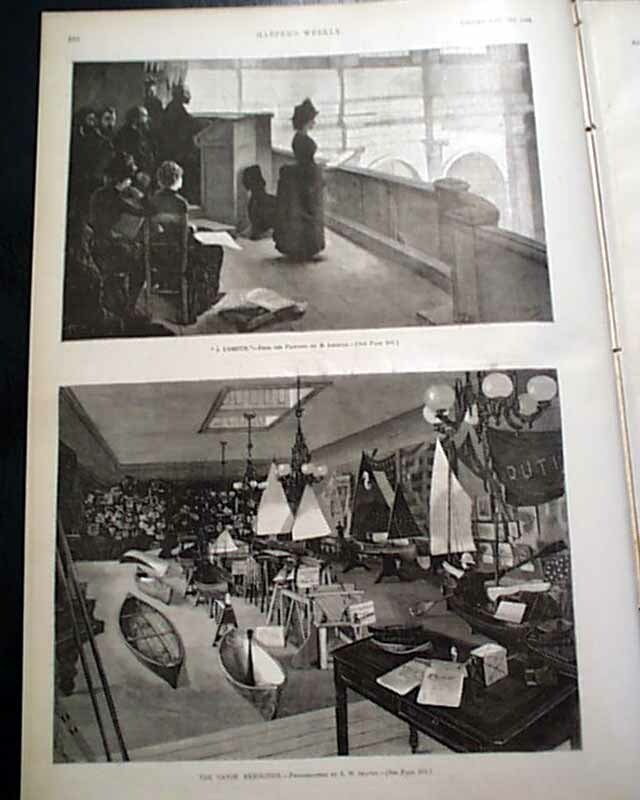 Other prints include: "The Canoe Exhibition", a Thomas Nast political cartoon: "The Root Of The Matter"; a doublepage centerfold of: "Trinity Church, Boston"; and a full page: "Unveiling the Statue of Senator Hill at Atlanta". 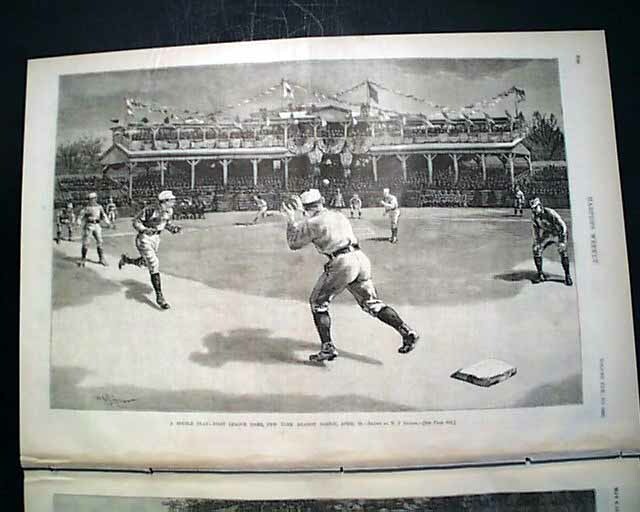 But the prime print is certainly the terrific & very displayable full page captioned: "A Double Play--First League Game, New York Against Boston, April 29" which shows a game in progress, showing the entire infield and a play about to be made on a runner at second base (see). 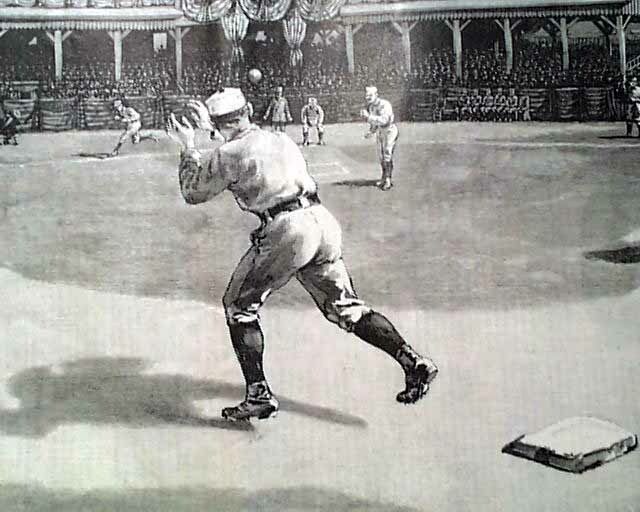 This is one of the better baseball prints to be had from the 19th century. 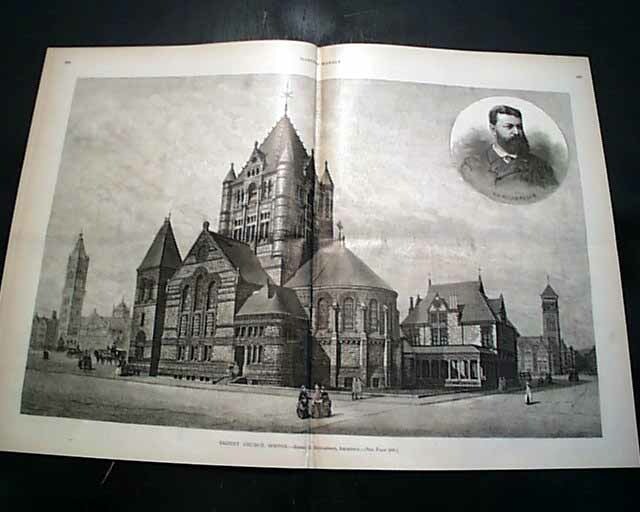 Complete in sixteen pages, very nice condition.